Vote on the Ottawa Jazz Festival for top event in 2015 by liking this event or posting about it on facebook, or via a comment here or on our Facebook page and letting your voice be heard for the 2015 Best Festival bracket Challenge. The Ottawa Jazz festival is a Canadian feature in Ottawa and a great February festival to check out in 2016. 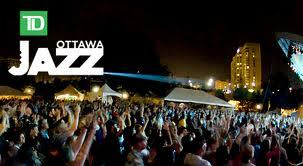 The Ottawa Jazz Festival has a rich history in Ottawa Canada and is one of the most amazing fiesta in Canada. You can’t miss out on the festival that is going to break all the rules this year in one of the most anticipated festivals the state has seen in years.